Chia seeds were cultivated by the Aztecs and Mayans in what is now known as Mexico and Guatemala. The name chia comes from the Mayan word for "strength" as it provided people with additional energy once consumed. In the pre-Colombian days, chia seeds were used in a variety of ways including grinding them into flour, pressing them for oil and combining the seeds with water or fruit juices to create a "chia fresca." After the Spanish arrived, chia seed along with Aztecs and Mayans were ancient history until now. What's in it? These powerful seeds were used to feed ancient civilizations long before health nuts rediscovered their nutritional value. They are high in fiber, providing almost 50 percent of your daily intake in just one serving. They also contain omega fatty acids, calcium, antioxidants, protein and much more. How do you cook it? The short answer is that you don't need to. The beauty of the chia seed is that you can add them to just about anything and reap the nutritional rewards. Sprinkle them in your salad dressings, smoothies, peanut butter, and oatmeal. 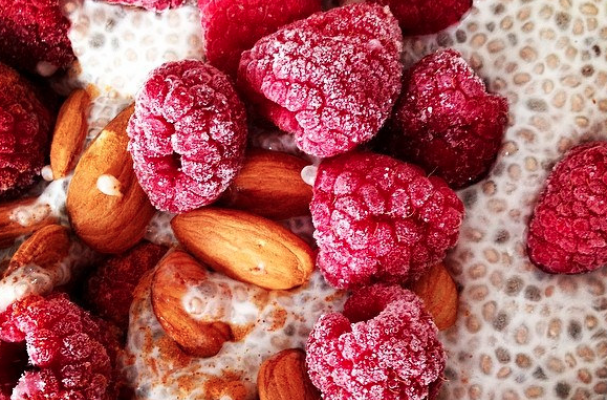 You can also let them soak in milk (almond and coconut milk also work) overnight to create a chia pudding.